In most organizations, if you are the best at your craft, it's likely you'll be selected to be the next team leader, supervisor, or manager. The irony is that few new (or future) managers get much training on how to actually manage. The reality is that you must leap into a whole new set of tasks that require a whole new set of skills. Understanding the psychological challenges of making the leap to a managerial/supervisory role. Avoiding five big mistakes every new manager makes. Establishing your authority and understanding its limits and applications. Learning to balance letting go with staying in control. Accepting that you can't be everyone's buddy. Delegating in a way that gets results. Applying a method of communicating that avoids SNAFUs. Giving feedback when it's not good news and surviving the experience. Taking joy in the development and growth of others - it isn't what you do that counts, it's what they do that counts. Getting these answers in a one-hour webinar is a great way to start your management career. 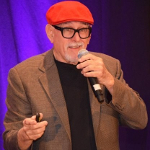 Join Larry Johnson and the Webinar Wednesday Team on October 23, 2019 at 12pm to Master the Leap to Management! Larry loves writing for, and speaking to managers. Larry has worked with clients like Harley-Davidson Motor Company, American Express, Nordstrom Department Stores, Southwest Airlines, Federal Express, the US Navy and the Nuclear Regulatory Commission. He is co-author of “Absolute Honesty: Building a Corporate Culture That Values Straight Talk and Rewards Integrity,” published in 2003 by the American Management Association, which now in its sixth printing! Larry has also been the owner of the Johnson Training Group for 32 years!